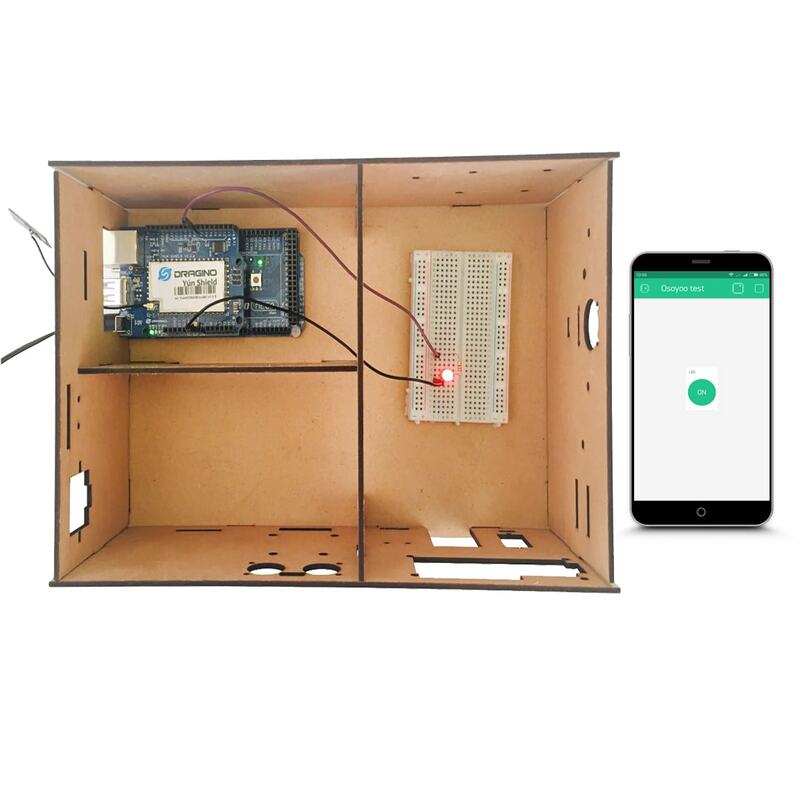 In this lesson, we will show how to use the Osoyoo Yun IoT Kit with the Blynk APP to control a LED. Here we connect the LED to digital pin D8. You can find the Arduino sketch here. This is the Auth Token that you emailed yourself. Please check your email and copy it, then paste it inside the quotation marks. Congrats! You are all set! Now your hardware is connected to the Blynk Cloud! Your project canvas is empty, let’s add a button to control our LED. Tap anywhere on the canvas to open the widget box. All the available widgets are located here. Now pick a button. Widget Settings – Each Widget has it’s own settings. Tap on the widget to get to them. The most important parameter to set is PIN . The list of pins reflects physical pins defined by your hardware. 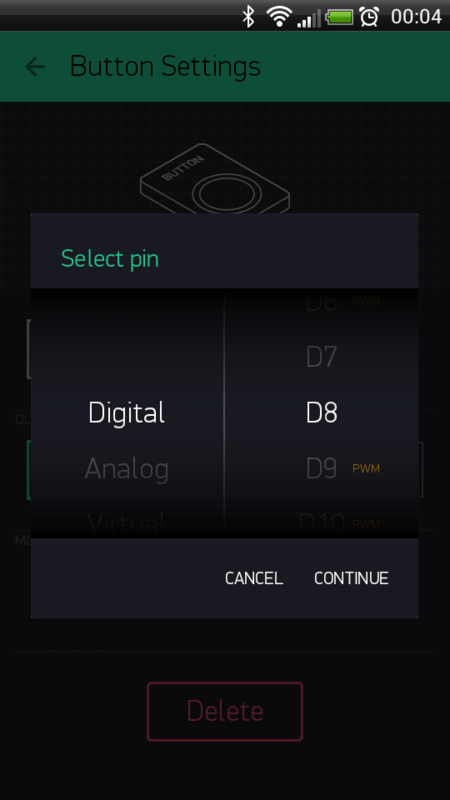 If your LED is connected to Digital Pin 8 – then select D8 (D – stands for Digital). After you finished all above operations,open the Serial Monitor and you will see the connection situation,then open the Blynk APP, press the PLAY button. This will switch you from EDIT mode to PLAY mode where you can interact with the hardware. While in PLAY mode, you won’t be able to drag or set up new widgets, press STOP and get back to EDIT mode. So, you just have completed a LED remote control experiment.